After that, he will show you a very spacious room at the upstairs where you will prepare the Passover. The disciples went into the city and they met with a man that was carrying a pitcher just as Jesus told them and they prepared the Passover. At this time, one of Jesus’ disciples called Judas Iscariot decided to betray Jesus. They replied, “We will give you thirty pieces of silver if you can help us to deliver Jesus into our hands.” From that moment, Judas began to look for opportunity to arrest Jesus. At evening, Jesus arrived with His twelve disciples at that place. 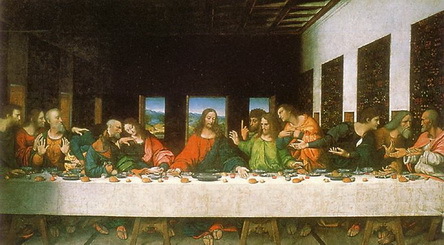 They say down to eat the last supper together. During Jesus was celebrating the last supper with His disciples, the disciples fought between themselves about who are the greatest.